Ford Festiva was a compact car and it sold well for Ford, Kia and Mazda. A tiny but powerful 1.3-liter motor was picked to propel the Festiva and this motor was never upgraded. The inline 4-cylinder design was used from 1986 until 2002 when the Festiva was retired for other models. 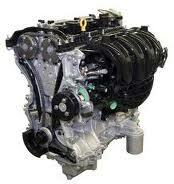 Our Ford Festiva car engines for sale will fit easily into your Ford without trouble. These come in either a rebuilt edition or used edition. Each engine gives you the same performance that a new 1.3L engine will give you. Our pricing is way lower than competitive and getting what you want is easy with our Ford engine website. You probably know the importance of maintenance on each engine. Not every car owner performs this maintenance and the quality of used engines that are sold online can range from great to really bad. We can assure you that all steps are taken to make sure we buy only quality 1.3-liter engines from dealers. Most of our engines are rare because they have lower than average mileage for an older used engine. These are the very engines that are sold as rebuilt to our customers or used if they are preferred. You have 2 great options to buy the type of engine that you need. Both our inventory and our engine condition can surprise you. It is hard to beat a rebuilt engine. When these are built perfectly, they are in the same league as a brand new 1.3-liter engine. When they are not built correctly, they are very close to the engines that can be found listed with auction sites. Since we care about what goes into every vehicle, the hours that we work are long and hard but we know it’s necessary. We have a complete engine rebuilding shop that handles all requests for remanufactured engines. Truckloads of engines are brought to our facility each day and our team gets to work quickly and reconditions each motor in a professional manner. OEM means a lot to us and without it we would not be doing our job. It is easy to install aftermarket parts made in foreign countries that are supposedly perfect for a 1.3L engine during a rebuild. We refuse to do it. We know better. When you stick with Ford products, the outcome is always better and we don’t cheat our loyal customers. You pay for an OEM original and you do not get something of lesser quality. Our team is friendly and passionate. It does not matter if we are rebuilding or testing, we do the job right the first time and make sure every 4-cylinder Ford engine passes all of our standards. Get a low price! That’s what most dealers will tell you and then shock you when their price isn’t so low. We don’t do that to any of our customers. Low means low here. We have developed a special Festiva quote form for you to use. Input your information and out comes our lowest 1.3L engine pricing. A call to us by phone is easy at 1-877-630-3873. We have answers to your questions or anything else you need. We give you a lot here.